Corner Bookshelf free building plan. 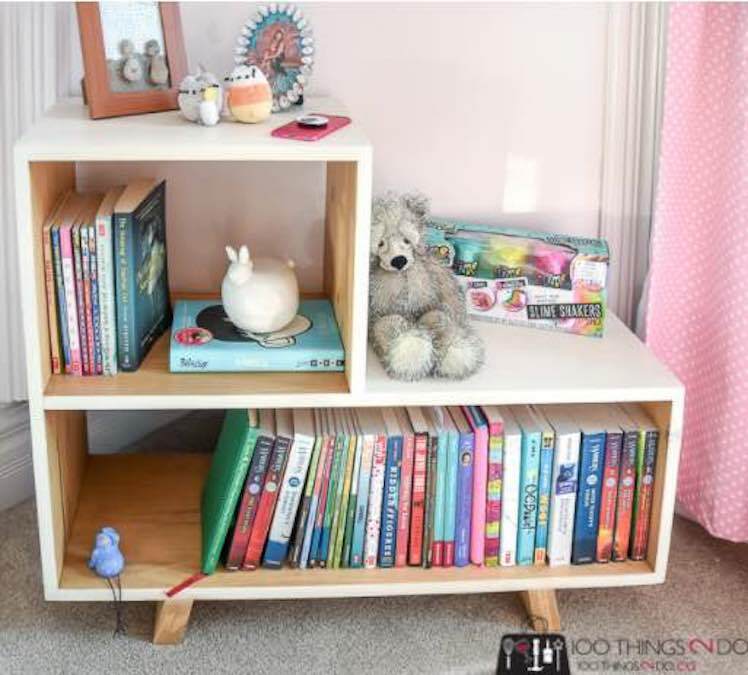 Free plans to build this corner bookshelf are available at the link. Both of the corner sides measure approximately 33 inches long.